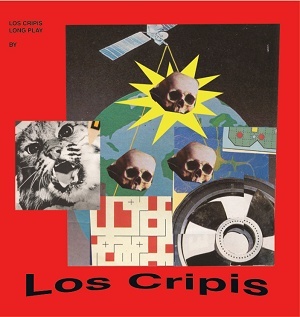 Argentinian garage / punk trio Los Cripis release their new album. Louder Than War’s Paul Scott-Bates reviews. Like almost every punk band, Los Cripis met, decided to play music and away they went. With two guitars plugged into the same amp and merely the thought that they should really get a drummer, they went on to record three albums in no time at all. Their D.I.Y. jungle rock come surf punk isn’t easy listening, in fact the intro to opener A Hill On The Beach sounds like the guitarist (Nicolas) is tuning up. The guitars often sound out of tune and dismembered from the remainder of the tracks and that somehow holds the embryo of the appeal. It’s a lesson in how to make an album if you really want to. What follows is quite enthralling as Frankenstein has raw instrumentation with a sweet sweet voice provided by Josi, it really shouldn’t work but does. Her voice, whilst not perfect often takes the edge off the grungy, gritty guitar and Marta’s manic drums. They’re certainly not boring, far from it as their unpredictability from track to track grows and grows including a cover of The Beach Boys’ Don’t Hurt My Little Sister which somehow sounds great as a para-punk track and puts a slight New-wave slant on the side of Los Cripis. Out of tune? You bet it is, and you can imagine Brian Wilson crying the first time he hears it. The brilliantly titled All My Friends Are Dead is as punk-pop as Los Cripis could possibly get and is probably as commercial as they will ever be, and closing the album with Double Song, a plodding pseudo Velvet Underground messotopia of impulsive key changes and irregular directions, the trio show why they are receiving plaudits from not only their homeland but across Europe too. The Los Cripis website is here and you can like them on Facebook here. All words by Paul Scott-Bates. More of Paul’s writing on Louder Than War can be found here. Paul’s website is hiapop Blog. Paul is working hard to save Radio Lancashire’s On The Wire, the BBCs longest running alternative music programme. Follow him on twitter as @saveonthewire for all On The Wire news or follow hiapop Blog on Twitter, @hiapop.